Most people have control issues. Some need to feel in control of every situation and every person in their lives. After my drug and alcohol use of my young adult years and years of prescription drugs for anxiety, I now hate anything that makes me feel like I am not in control. No gas at the dentist, one glass of wine, or one apple ale is enough, and never hard alcohol for me. My husband after several bad car accidents as a passenger, including one that broke his back in seven places and left him in a body cast for six months, likes to be the one behind the wheel. He hates giving over control of the vehicle to anyone else. I know people who try to control their spouses, their children, and even their pastors. Wrong or right, they are always right and they know best. Sometimes this ends in abuse, divorce and church splits. I think most of us will admit that not losing control to drugs, alcohol, or other people isn’t a good thing. We than can also agree that trying to control others, also aren’t a good thing. If you have an overly controlling person in your life, it is like being in prison, and if you have a need to control everything, much of your life is spent in worry, or feeling out of control. That behavior can end up being obsessive, not healthy to yourself or to others. So when is it ok to give up control? Who is faithful enough for us to give our control over to? The only answer is God. He knew us before we were born and He knows our end, in fact He knows every second and every minute of our lives. He was our beginning and He is our ending. He orchestrated it all for our good and His glory. He is the author and the finisher of our faith. We can have confidence that if He said it, it will happen that way, as long as we submit to Him and let Him have control. I know, we have all heard the argument that God is a control freak that says it’s “His way or the highway.” Who wants to be a slave to a hard taskmaster? First off, I’d have to say why does someone want control? In God’s case, it’s because He knows it all, everything, the end from the beginning. So He knows what we need to do in every situation. He doesn’t tell us what to do for His good, it’s for our own good. Secondly, God is good. Evil can’t be found in Him. Do I want to serve an evil dictator, no! Would I willingly give myself over as a love slave to Him who loves me best? Of course! His “control” protects me, provides for me, heals me, sustains me, encourages me, and sets me free from all other masters! 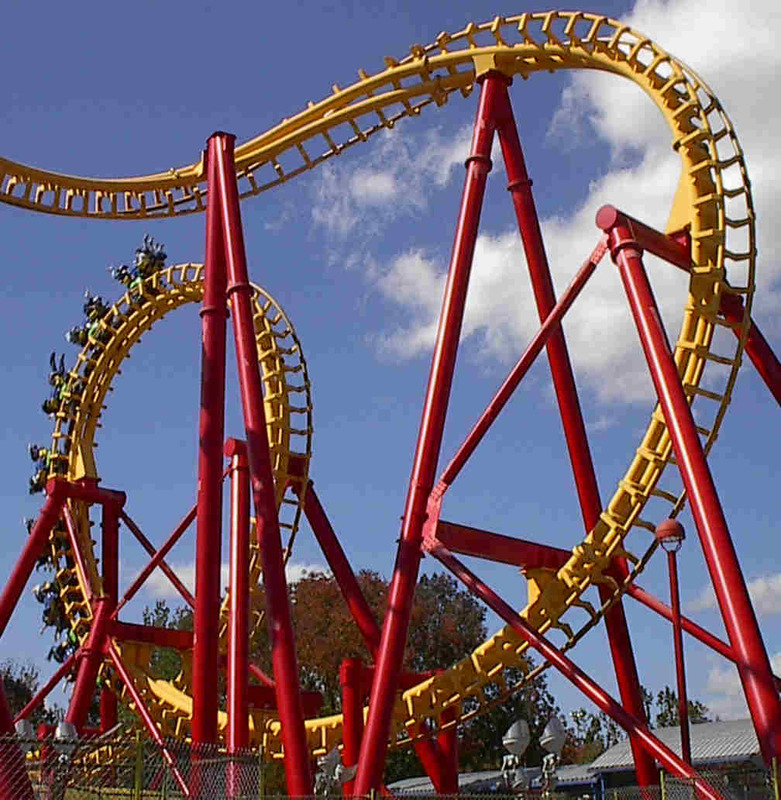 This is the analogy God gave me about control: Picture yourself of the biggest scariest rollercoaster. 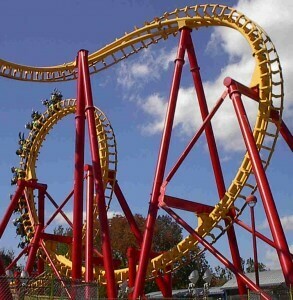 You know the ones that go upside down and loop the loop. If you have ever been on one, the first thing they do when you sit down is buckle you in, or lower the safety bar. If the person next to you refused to be buckles or constrained shouting “You can’t control me, I can do this on my own,” and proceeded to try and hold himself in the car, you’d expect to witness a death, a very messy one at that. We easily give up our control for something that keeps us safe or protects us from pain. I mentioned before that I won’t take gas at the dentist. How foolish would I be if I refused anesthesia during a major surgery? Sometimes giving up control is the best thing for us. So what do you say? Can you lose control? This entry was posted in Thoughts and tagged Bible, Christ, christian, Christianity, control, faith, God, God's love, God's word, Holy Spirit, hope, Lord, love, love slave, Salvation, scripture, slavery, submitt, trials.